Things happen in Beaumont Street, but what? To whom? What really goes on behind the elegant facades of the Ashmolean Museum and the Randolph Hotel? You'd be surprised. Could that really happen in the Playhouse? In this book, it does. 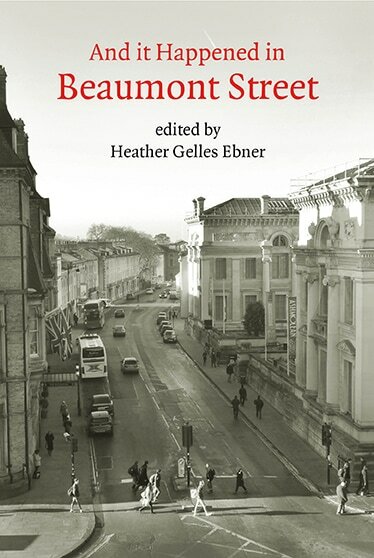 A group of Oxford writers have let their imaginations roam through the past, present and even the future to produce a collection of short stories, all based in Beaumont Street. The result is an entertaining read, just as enjoyable to those who know Oxford well as it will be to its many visitors. But be warned: once you have read this book you'll never see Beaumont Street the same way again. All profits from the publication of this book are being donated to the Ashmolean Museum.